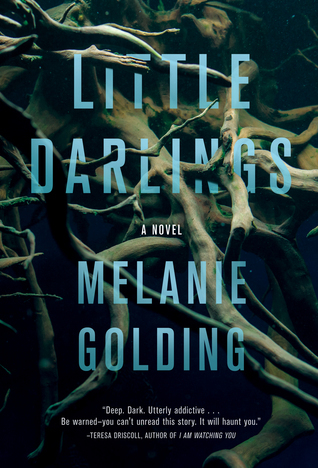 This highly readable debut from author Melanie Golding is a clever and creepy reinterpretation of classic folk- and fairy-tales. An elegant melding of crime fiction, fantasy, and horror, it tells the story of a young, isolated mother convinced that her newborn twin baby boys have been switched with “changelings” by a malevolent fairy creature. She is dismissed as unhinged by local law enforcement, except for a rogue police officer convinced there is more to the story than meets the eye. Every sentence is infused with suspense and dread. The visceral imagery conjured straight from the darkest fairy tales will keep readers trying to decide who is telling the truth until the final page. I also thoroughly enjoyed the inclusion of excerpts from fairytales and folktales from around the world, providing context for readers who may not be as familiar with some of the lore alluded to in the novel. Many thanks to Crooked Lane Books and Melanie Golding, as well as NetGalley, who provided me with a copy of this book in exchange for an honest review. All the thoughts and opinions expressed in this review are my own.